Are you thinking of trying contact lenses? With all of the healthy and convenient options available today, almost anyone can wear contact lenses. Some people find that wearing contact lenses is better for their lifestyles, while others find them cumbersome and enjoy the ease of wearing eyeglasses. If you're interested in wearing contacts, the first step is to have a contact lens examination by an eye doctor. A contact lens exam is meant specifically to fit you with contacts. A contact lens evaluation will be performed first. An optometrist will determine if you are a candidate for contact lenses. If you are, he or she will recommend what contact lens options are best. There are three major groups of contact lenses: soft contact lenses, rigid gas permeable contact lenses and hybrid or combination lenses. Soft contact lenses are extremely thin and comfortable to wear. They are made mostly of water, which is why they are soft. Rigid gas permeable contact lenses are made of hard plastic that gives crisp, clear vision and corrects most vision problems. They are durable and last considerably longer than soft contact lenses. Hybrid lenses are both soft and rigid combined and provide better vision and comfort than a pure soft or rigid lenses. While anyone can wear a hybrid lens, the tend to fit into a specialty lens category for certain patients with medical problems. Where is the best place to buy contact lenses? Maybe you find it convenient to order your contacts from your eye doctor. Some doctors even have online services for automatic renewal between exams. Your doctor also can give you the option of having them shipped directly to your home or office. Or it may be that you prefer buying your contacts from an eyeglass optical. Some people order contacts from warehouse centers, while others order them online. Your eye doctor will show you how to properly clean and disinfect your contact lenses. 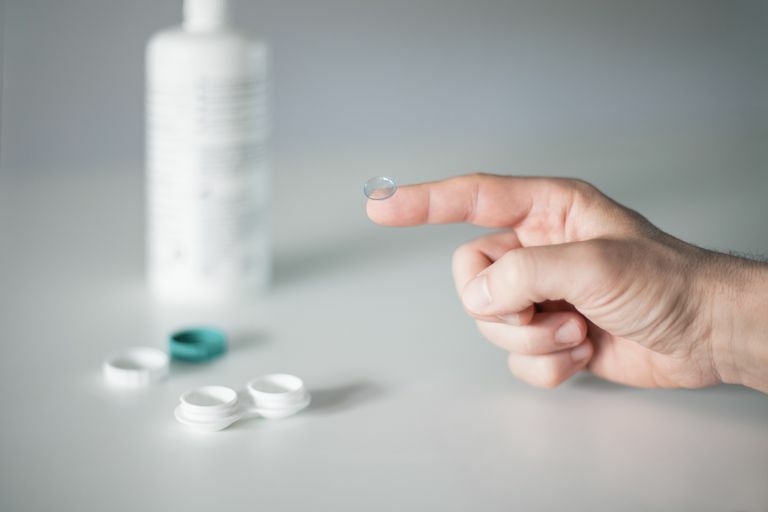 Be aware that wearing contact lenses for a long period of time may cause blurry vision, pain, and redness due to a lack of oxygen passing through to the eye. Remember that contact lenses are medical devices: with proper care you will see better and will have peace of mind knowing your contacts are healthy and safe for your eyes. If disinfection is too much trouble for you, ask your doctor about daily disposable lenses that you never have to clean. Daily disposables are worn for a day, then thrown in the trash. Daily disposables are now available in all types of prescriptions. Wearing contact lenses should be both pleasant and rewarding. Many people stop wearing contacts because of discomfort they cause. Anything that causes dry eyes, including antihistamines, birth control pills, alcohol and air travel, can make contacts uncomfortable. Environmental contaminants, such as dust, smoke, sprays and pollen, can also irritate the eyes when you wear contacts. There are methods to eliminate the discomfort and enjoy the convenience of contacts. Should Your Teen Wear Contacts?